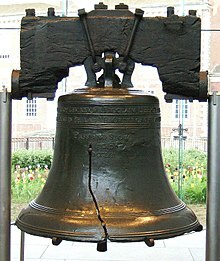 To reduce the national debt by $30 billion, the Interior Department is selling naming rights to the Liberty Bell to Taco Bell. Henceforth, the bell will be the Taco Liberty Bell. Relatedly, the Lincoln Memorial is being sold to Ford and will be renamed the Lincoln-Mercury Memorial. In DC, the Wheaton subway station will be the Cream of Wheaton station after naming rights are officially transferred. Happy April Fool’s Day!